It is not difficult to have a romantic weekend in Colmar France, as this is a village that fairytales are made of. Colmar is located in the Alsace Region of France, a hot spot tourist destination, and lies close to the stunning French city of Strasbourg. 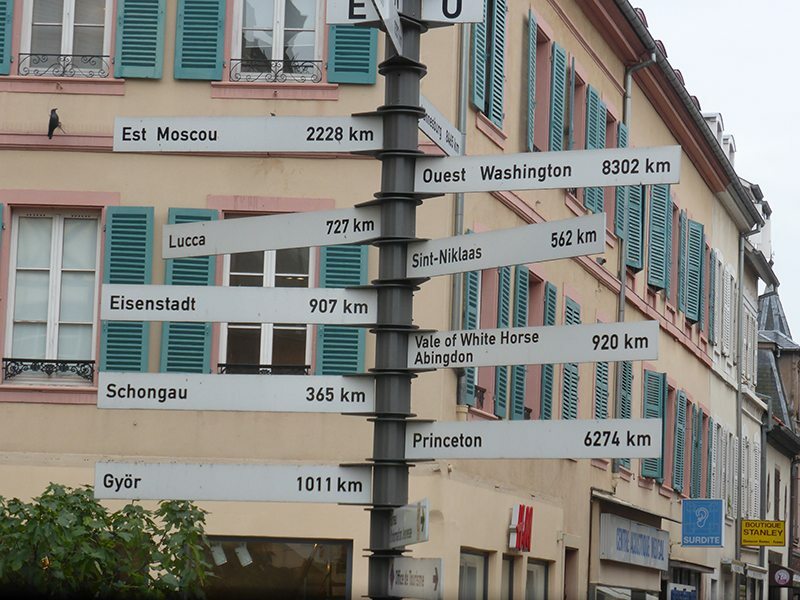 It is 44 minutes from Basel, Switzerland and about the same distance to the German border. 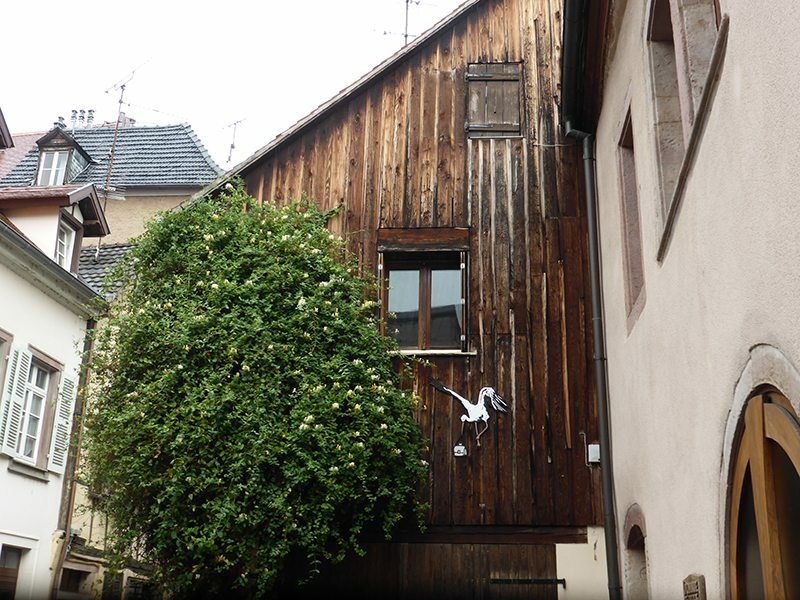 This position no doubt benefits Colmar and can be seen in many of the buildings and the culture of its people. 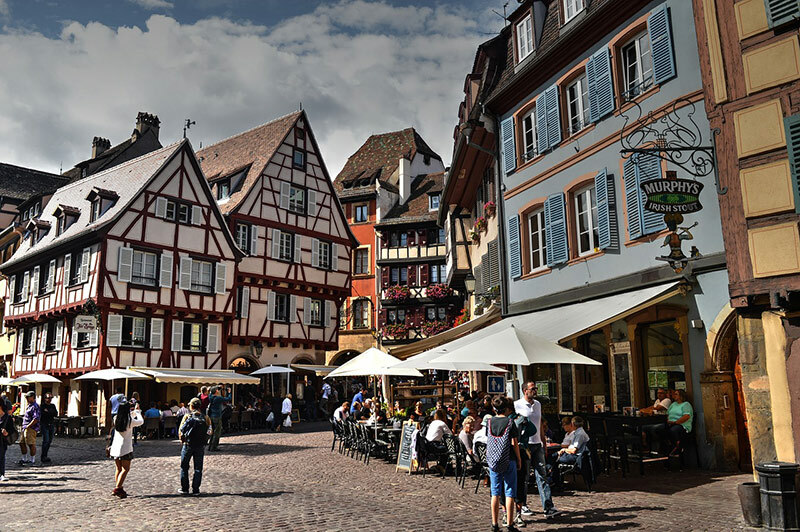 Colmar was an important marketplace and a center of learning in the 13th century. If you enjoy cobblestone streets, canal-side traditional houses decorated with flowers, many of them geraniums, half-timbered coloured buildings, excellent food and wine, then Colmar is beckoning you. There are many places to explore including the Quai de la Poissonnerie and the old burghers’ houses of the 16th and 17th centuries. 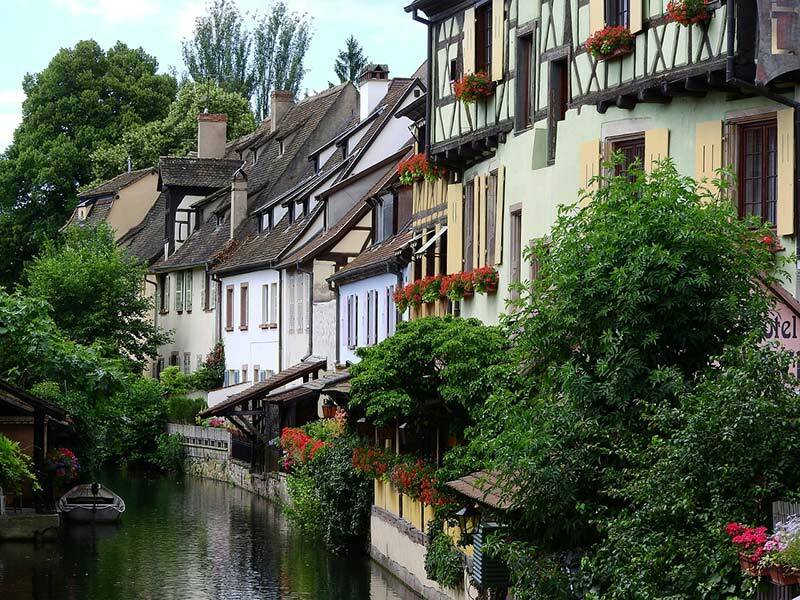 Colmar’s well preserved old town and the diversity of architectural styles make the city one of the most popular destinations in France for day trips, and is ideal for a weekend. Colmar Tourist Information will tell you about the allure of Colmar. 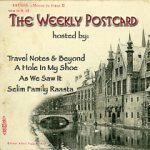 12 Link Up #wkendtravelinspiration #WeekendWanderlust #TheWeeklyPostcard. Therein lies more of the appeal of this beautiful little village. Not only is is aesthetically adorable, but yes, wine is a very big draw card. Colmar also is a foodies dream destination, having 7 Michelin-starred restaurants and only a population of 65,000 people. 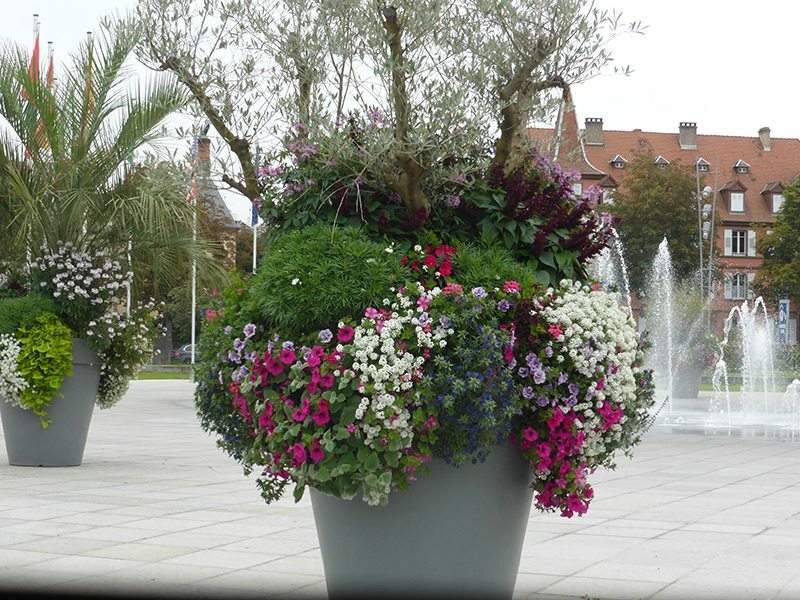 It is all of these elements and that drive visitors to have a romantic weekend in Colmar France. Colmar does not require a regulated itinerary. 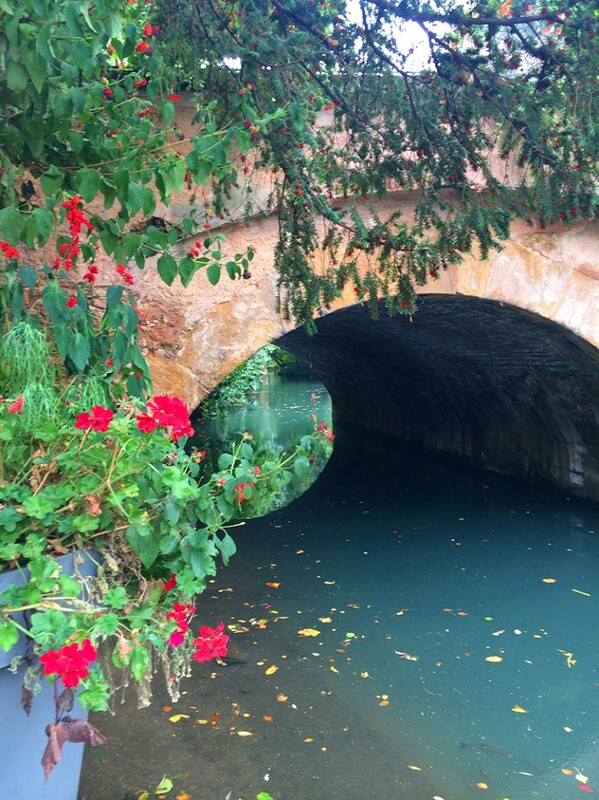 It is easily explored at your own pace, stopping for coffee, gelato, wine and food at will. You will see everything over a weekend, and this will give you some ideas of what to see, where to stay and of course where to eat and drink. 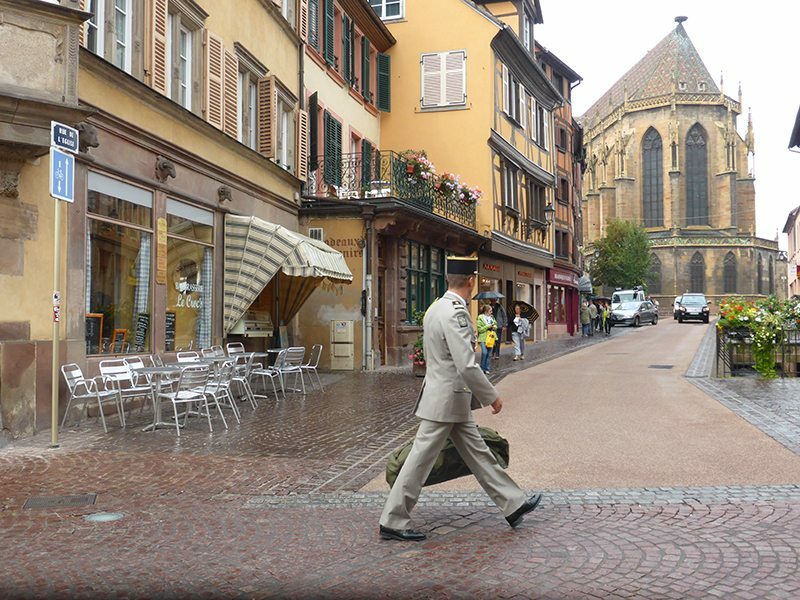 Take it easy, chat with the local people and embrace the total charm that is Colmar, France. 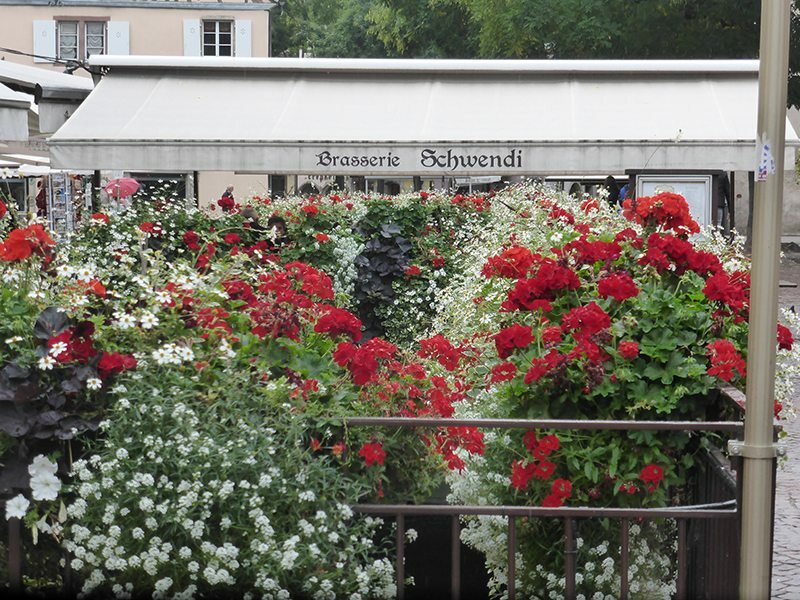 Check the latest prices on where to stay in the beautiful Colmar. Get a local to show you the beautiful city, where you will learn from proud people who live there. 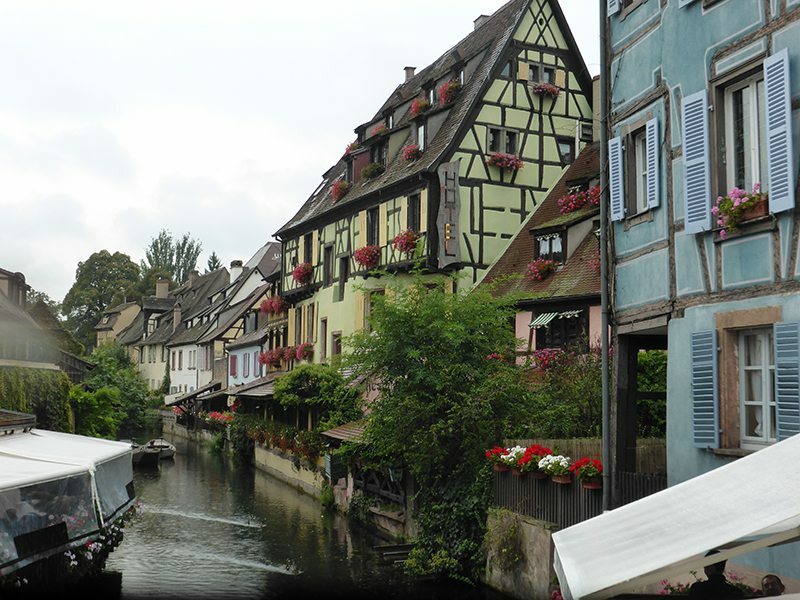 Guided Tours are available through Colmar Tourisme, just click here. Expect and you will see colorful half-timbered houses, the canal flowing through with its restaurants, beautiful pedestrian bridges, and willow trees lining the river. This quarter is known as “Little Venice” because the houses are built right on the edge of the Lauch canal. This is where you can enjoy a gondolier type experience by taking a boat tour around the Little Venice district from underneath the Saint-Pierre Bridge. The boat tour is a Venice type experience and a beautiful view of the restored houses dating from 1350 to 1609. The stunning view of the district from the Saint-Pierre Bridge, to the far south of Little Venice, is one of the most photographed views of Colmar. See the Eglise Saint-Matthieu, a 13th-century Protestant Church and Maison Pfister, one of the finest old houses in Colmar. 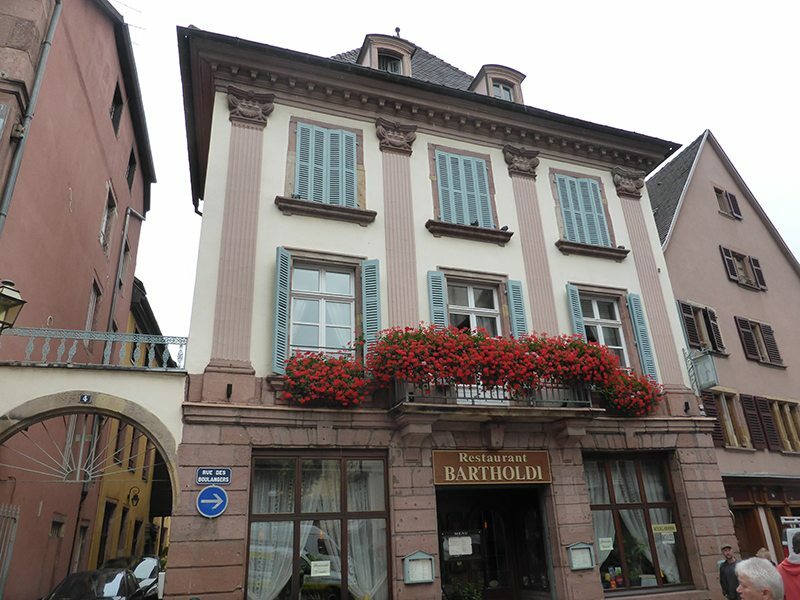 You will also see the Bartholdi Museum that has examples of the famous sculptor Auguste Bartholdi’s works who was born In Colmar. 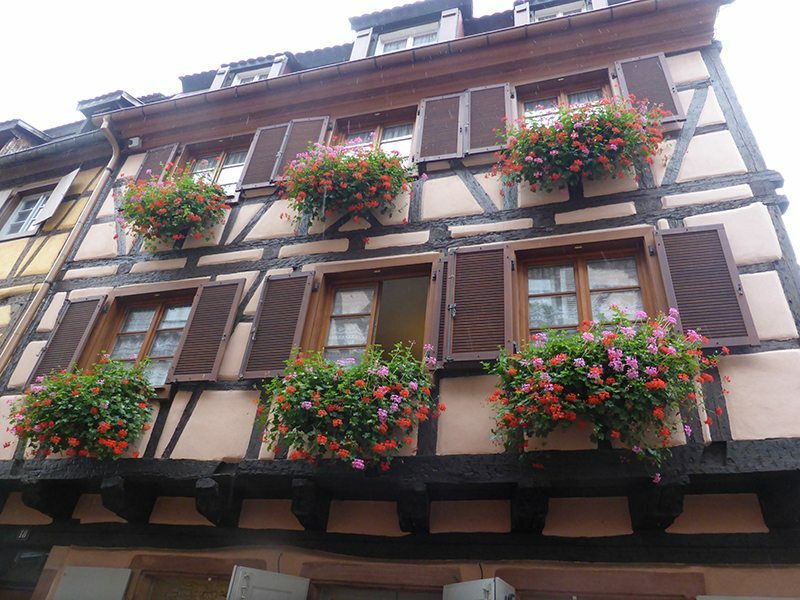 The Rue des Boulanger’s or Bakers’ street and the Rue des Serruriers or Locksmiths’ Street are examples of some of Colmar’s most picturesque buildings. Maison des Têtes is called the House of Heads because the façade is covered with small busts and the faces of different people. It is now a luxury hotel and restaurant. 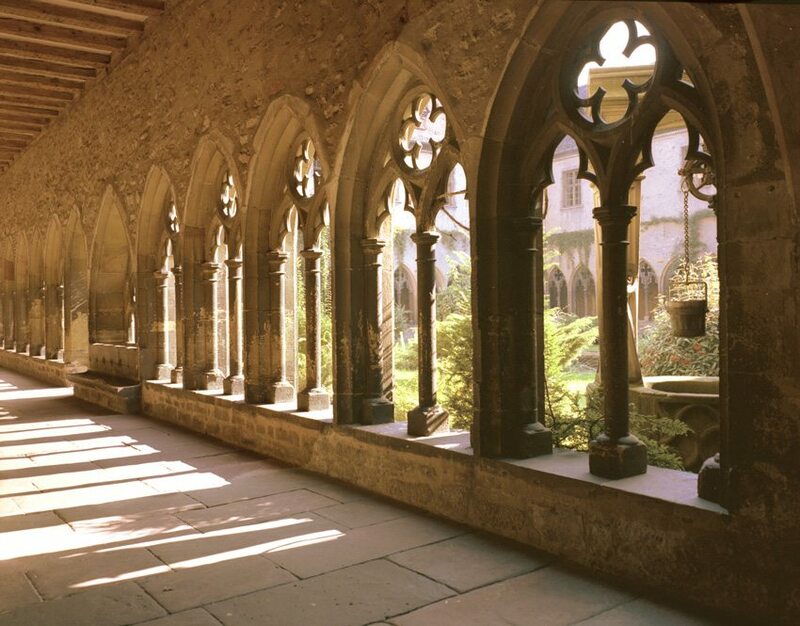 Musée Unterlinden is a must see museum dating back to the 13th century and located in a former Dominican convent. The first floor is all about Alsace and the arts and crafts of the region. The major draw card of the Musee Unterlinden is the Isenheim Chapel, featuring Matthias Grünewald’s Isenheim Altar. You will also see works by Picasso, Léger, Rouault, and Mathieu. 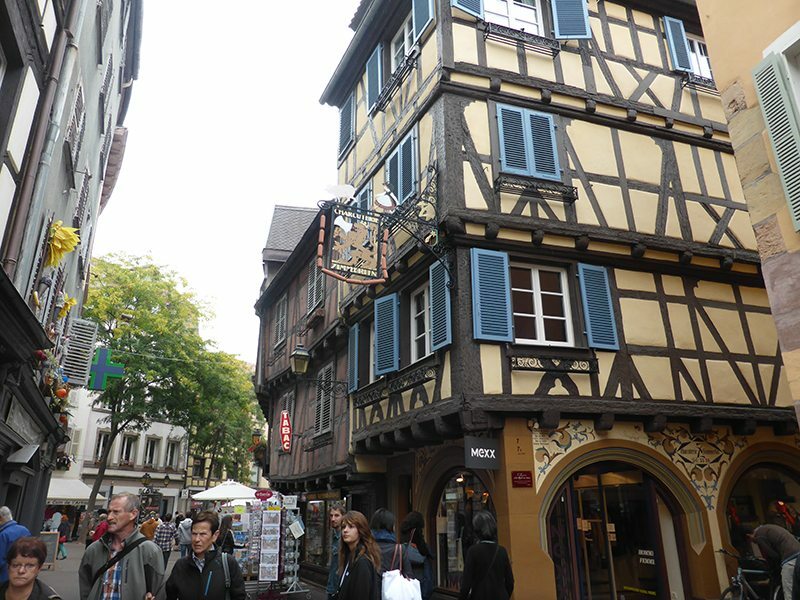 This 15th-century building was the most important building in Colmar. The ground floor was used as a warehouse for goods and where taxes were collected on imports and exports. It was also where many political decisions were made. This church gives an excellent insight into the lives of the Dominican preachers and also has a a masterpiece painted by Martin Schongauer in 1473 – the Virgin of the Rose Garden. Now it houses the antique manuscripts and is the Municipal Library of Colmar. Too cute and was where the tanners used to work and to dry out the leather. You can see the Market Hall and the 18th-century Law Courts. The Hôtel des Chevaliers de St-Jean is built in the style of a Venetian palace and is a stunning place to see. The Quai de la Poissonnerie was the old fishmonger’s district where fishermen once lived centuries ago. There are many accommodation options in this fairytale village, and these are some suggestions to have an amazing weekend that is big on pampering and big on luxury. This hotel is in a 19th-century building that once housed a pharmacy. Latest Trip Advisor reviews and prices. This stunning hotel overlooks the medieval city of Rouffach and the Black Forest. Château d’Isenbourg is a stunning chateau hotel and renowned gastronomic stop over on the Alsace wine route. Latest prices and TripAdvisor Reviews here. It is a romantic weekend so it is time to spoil yourself at any one of the restaurants or cafes, that abound in Colmar, and having a wine would seem appropriate as you are in the Alsace Region of France. 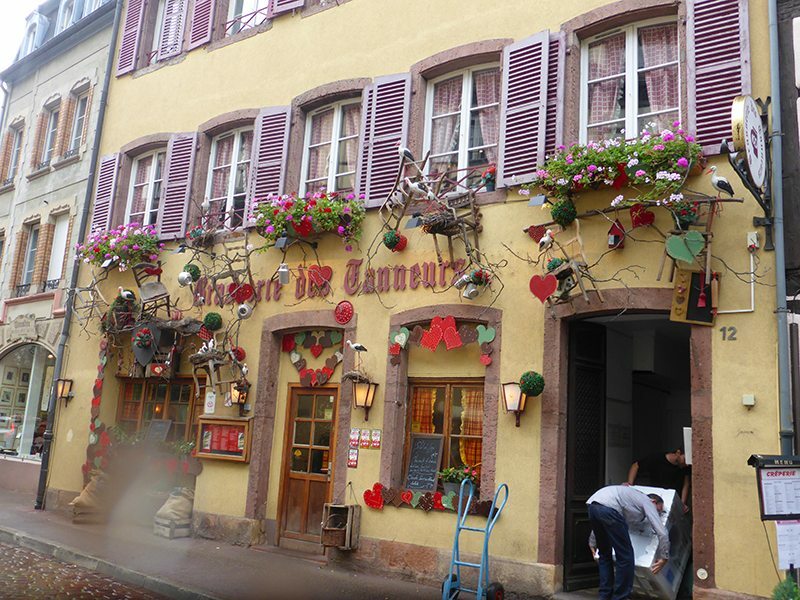 There is a list of all of the Colmar restaurants in Michelin guide later in this article, but as it is a romantic weekend in one of the most beautiful villages in the world, why not spoilt yourself. 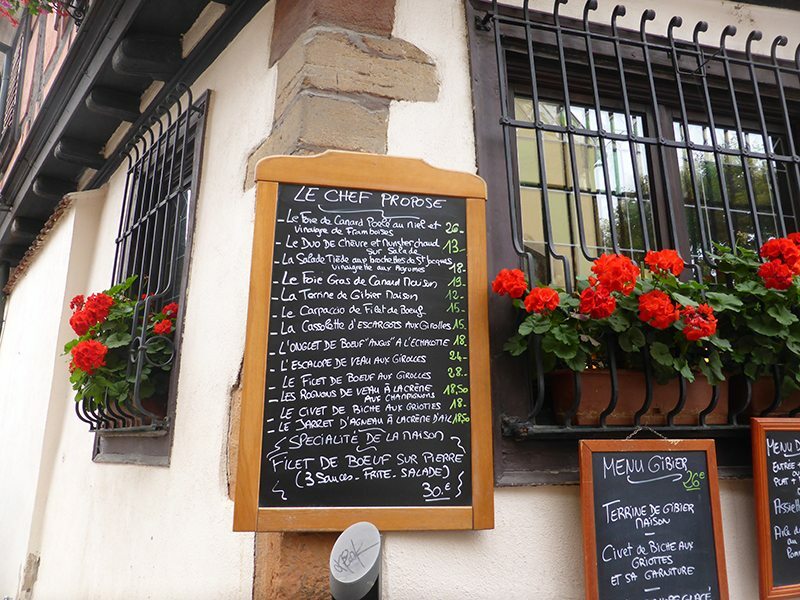 These are the Michelin Listed Restaurants in Colmar, France. Colmar is the capital of the Alsace wine region, just ask the tourism board who are justifiably proud of this fairytale village. From Rieslings to Pinot Gris, the Route des Vins d’Alsace or the Alsace Wine Route is where the wine becomes a journey. 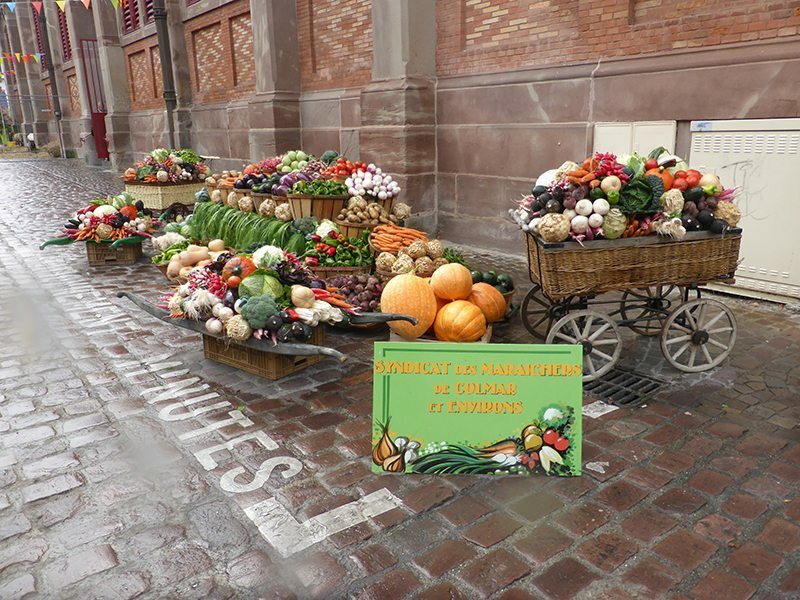 This makes Colmar the ideal base to sample what the very produce that has mad this region so renowned. The large market hall in Little Venice is worth stopping in and sampling many of the local goods on offer, particularly the nougat. Visit the craft market set up in the Koifhus, Old Custom House to see some of the local products. 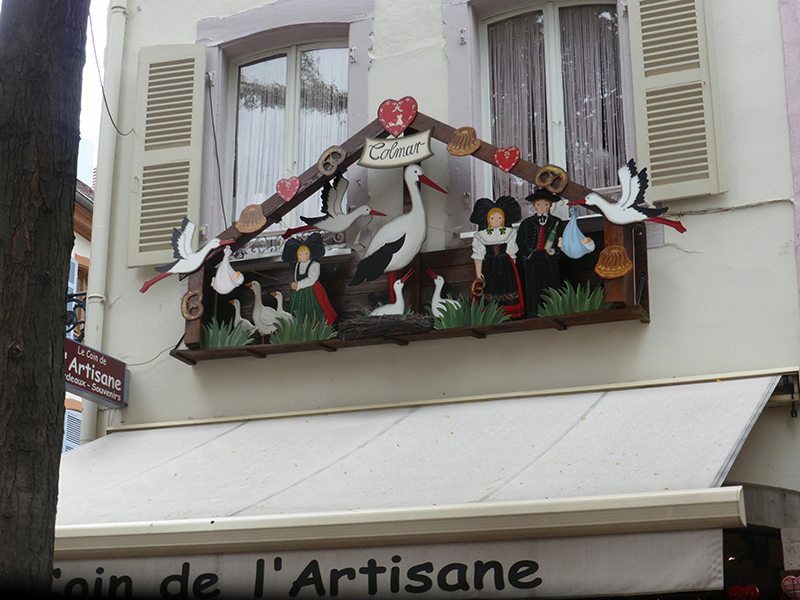 As to be expected there are numerous wine shops, cheese shops and patisseries as well as a shopping strip. Colmar really is the fairytale. Spending a romantic weekend in Colmar France will never ever disappoint. Link Up #wkendtravelinspiration #WeekendWanderlust #TheWeeklyPostcard. 1. 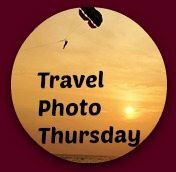 Link one of your inspirational travel photos or stories to this post by adding your info. 2. Copy and paste our badge and a link to this page. 3. 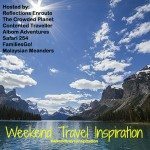 Visit some of the other wonderful travel bloggers, read their posts, and leave a comment. It would be great if you could comment on 2-3 posts. I only started following you an hour ago and this is the first thing I see on Twitter. A wonderful report and very timely as I will be in Colmar in 6 weeks. Thank you. Thank you Dean, and would love to see you here again. 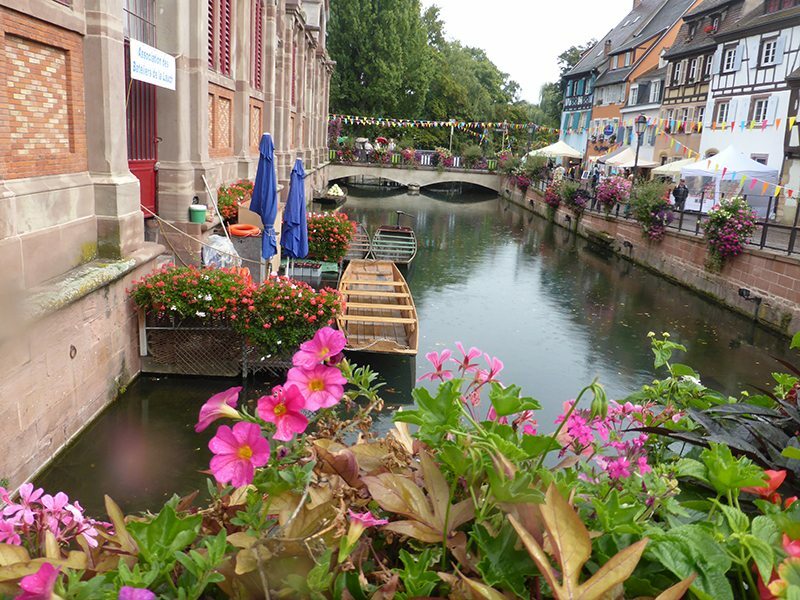 You might also like the articles Strasbourg and The Alsace Region of France. You will love it there, it is fairy tale perfect. We’re in Alsace now! I’ve got ancestors from a bit further south, and we’re doing some research while enjoying all the good food and wine, along with the beauty of the region. It’s beautiful, isn’t it? We are thinking of stopping in Colmar on the way back up toward Strasbourg, so thanks for the tips! 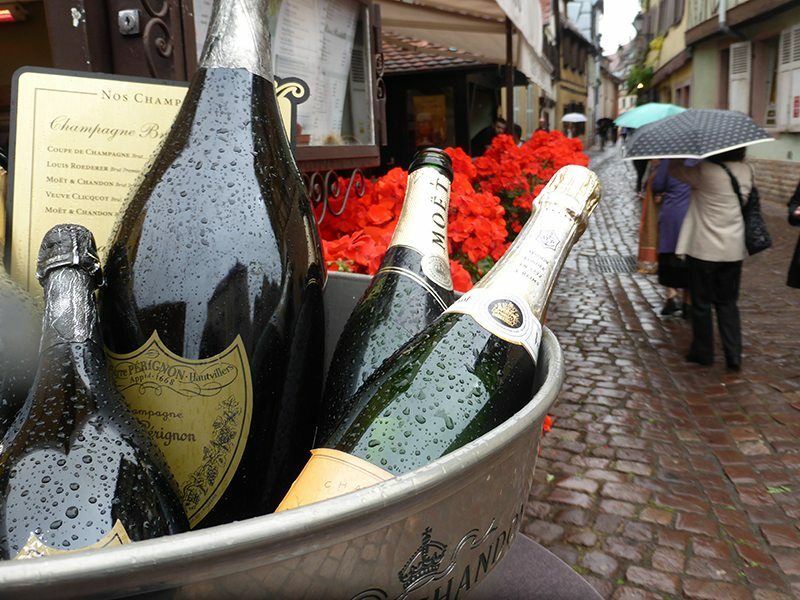 We love this region and Strasbourg, Colmar and all of the Alsace wine trails are so gorgeous. That is a definite area that we will return to. 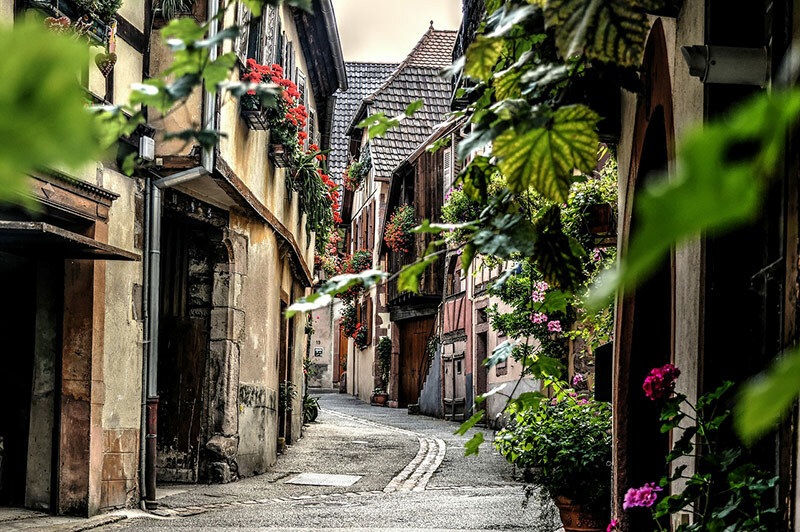 Paula, I love Colmar, and your photos have captured it wonderfully. I love that first photo. You should frame it! I’ll definitely add Colmar to my list. I always tend to go back to the same places in France instead of discovering more. Thank you for sharing this post, Paula. We usually like the self-guided tours. We tend to get favourites too, and this entire area is now on that special list. As I scrolled down through your post, seeing picture after picture, the case for visiting Colmar became stronger and stronger. I like so much of what you showed us — the canals, the buildings with the cross timbers on the side, the carousel and the beautifully displayed produce for sail. I will need to ditch the kids and drag hubby here so that we can have a romantic weekend… or perhaps a whole week… in Colmar. I think that you would love it. We are so happy with the photos even though it did rain at times through the day. 7 Michelin-starred restaurants and only a population of 65,000 people??!!! DONE! 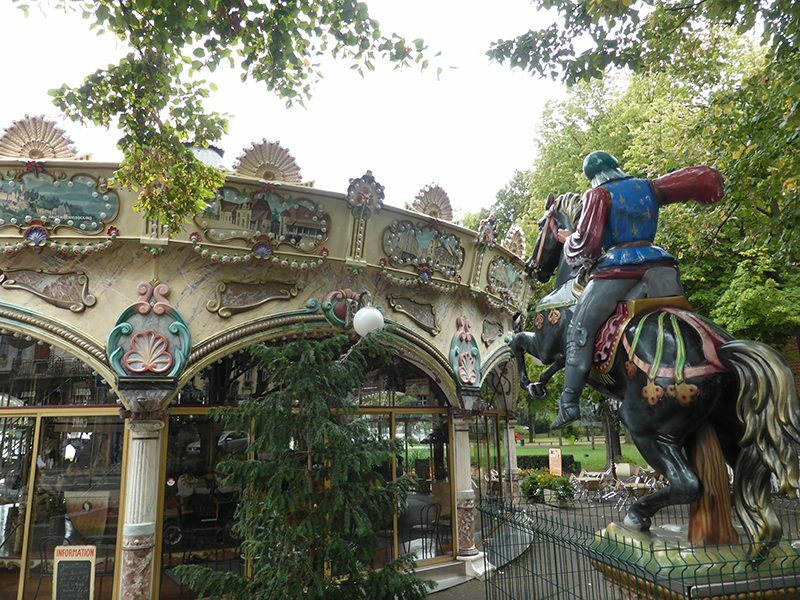 😀 Thanks for including all of the info and attractions to hit for taking in a self guided tour- we really enjoy exploring at our own pace so are likely to discover Colmar that way when we visit France in a few months. Especially since I may spend more time than originally planned sipping on a glass of wine :D! 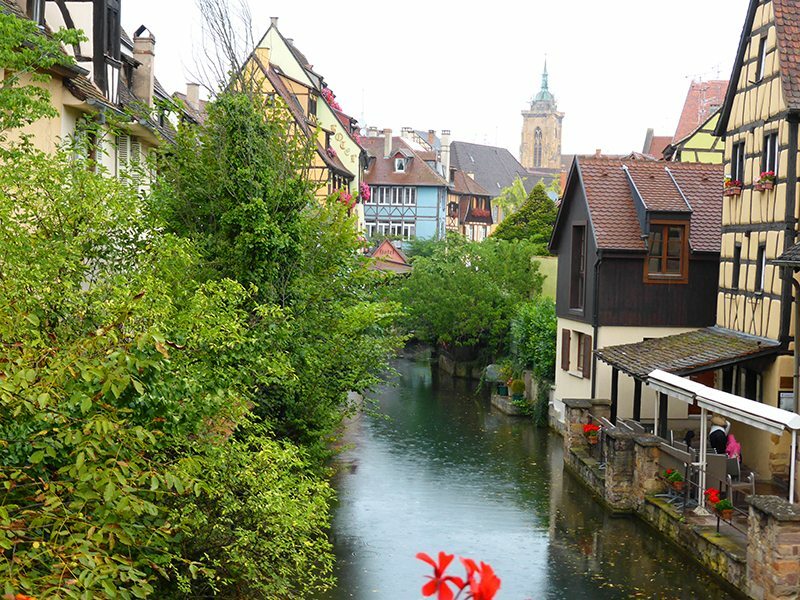 You will love Colmar and all of France. It is a really hospitable country that happens to have nice wine. I’ve visited Alsace but it was almost 20 years ago so I don’t remember anything (which means I might have visited Colmar and don’t recall about it)! It’s a charming city and so well preserved! I’d like to walk for hours there!! So pretty! 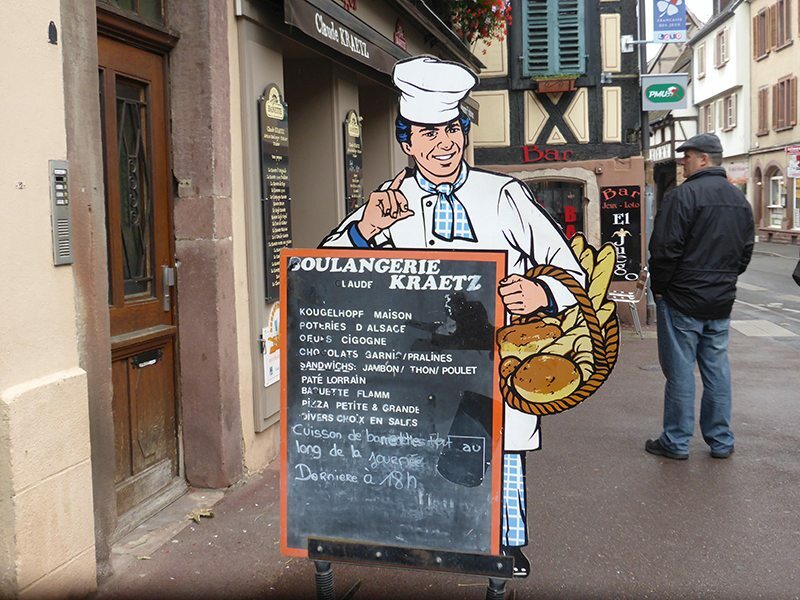 I have always been intrigued by Alsace and Lorraine and would love to go on a tour there. I had no idea, however, that Colmar was there – I need to review my geography! How exciting!!! I’ll be going to Colmar in the end of August and I can’t wait!!! I will look forward to reading about your time in Colmar. Enjoy. we’ve always wanted to go to Alsace because we love the French-German cuisine that comes from there. it looks adorable as well. Impossible to resist. It is a beautiful place with the food and wines to match. Colmar sounds like a beautiful place! Makes me want to go back and visit France! We love France. Actually we love Europe. I’ve always wanted to go to Colmar, this is definitely at the top of my list of places to travel to! You will love it. I hope you get to visit Colmar and other parts of Alsace. I’ve been to Alsace but I’ve never been to Colmar. Did you try any flammekeuche (like a pizza but with a cream, not a tomato base)? Well, I can see why you say you can spend a romantic weekend here! I love visiting places where I can walk around and get lost in the town but not really be lost at all. You’ve covered three of my favorite past times here, eating, drinking and shopping. Seems like this little gem has it all! Thanks, most of them are from Gordon and one or two are mine. Sigh. Colmar is stunning. I want to pack my bags and leave now. If only it was close enough for a short weekend break! That first picture is just magical. Never heard of this place before but it looks absolutely charming! So quaint and picturesque! Thanks for sharing! Glad to introduce you to one of the prettiest towns, and prettiest areas we have seen. Nice find! I love that canal photo. I’m all about fairytale villages. Me too, the fairy tale villages work for me always. I think I will go crazy in Colmar. I mean, there is so much to see eat and drink. My mouth started to water when I read the menu in one of your photos. Great article full of useful information. What a beautiful place to visit! We’re always looking for places to take a romantic getaway and this looks like the ultimate of destinations! And those restaurants!? We’re anxious to try some of those restaurants you’ve suggested especially a few of the Michelin stars (wow are there a lot there!) if we get the chance! Definitely visit Colmar. One of the criteria for Michelin stars, particularly a lot of Michelin stars is location. So they got it right in Colmar. You have made me even more excited to be going to Colmar in December, thank you so much. I especially love the first photo. You will love it. It is picture postcard perfect. The entire region is just full of OMG moments. A previous commenter is also going in December. You should get together and have a regional wine. No, not quite the same but Colmar does have it all. But then I love beautiful fairy tale places. Love you first two photos – they set the scene perfectly. I really do like the look of Colmar. It has caught my eye before in a blog and I will visit it if I am over that way in the future. It is about time we revisited France I think. The 13th century Domenican Convent building looks beautiful! Thanks, this is a beautiful part of the world. Lots of flowers and gorgeous houses. I love the Alsace region. What a wonderful city/village guide! Your photos make me want to just jump in with hubby and leave the kids behind. France is so romantic. It is so romantic and pretty – a fairytale city. 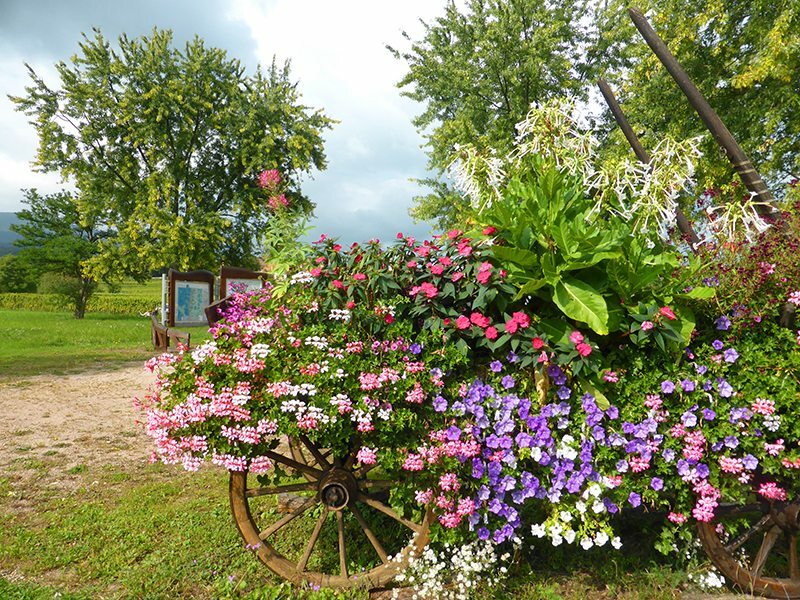 Alsace is one part of France I haven’t explored yet, but, wow, this looks wonderful! Lots of historic areas to explore combined with Michelin-starred restaurants? It sounds perfect. Though I don’t think a weekend would be enough…. We had a week in the area and left us wanting to return. It is all so beautiful. I can see why you titled this post “A Romantic Weekend”. Colmar is stunning and the food and wine looks divine. I have only been to Paris in France and I would really like to see more of the country one day. Colmar will be on my itinerary for sure. Definitely add it to your list. The entire area is just historically interesting as well as having excellent food and wine. Romantic + Historically interesting + Excellent food and wine = Can’t ask for more. You’ve got me wanting to go now. They certainly have the formula correct that is for sure. It is a beautiful place and the people are really lovely too.